Last week, Quantic Dream founder and CEO David Cage flew to New York City to show demos of his dramatic new PS4 game, Detroit: Become Human, to press. In his home city of Paris, meanwhile, a different type of drama was unfolding: French journalists were defending themselves against Cage’s legal charges. Quantic Dream has sued the French newspaper Le Monde and the website Mediapart for reports on the studio’s working conditions, Kotaku has learned. As far as we can tell, this is the first incident of a video game studio taking legal action against the press for negative reporting. Cage and co-CEO Guillaume de Fondaumière had threatened litigation in January when the reports hit, but some observers assumed that was posturing. It wasn’t, as both Cage and the media outlets have confirmed to Kotaku. We learned about this unusual lawsuit in an unusual fashion. I happened to be in Paris last week, doing press for the upcoming French version of my first book, Blood, Sweat, and Pixels. At one point, I was scheduled to meet with Le Monde journalist William Audureau, whose name I remembered from an explosive article in January reporting allegations of sexist jokes, extensive crunch, and racist comments at Quantic Dream. (Quantic Dream denied the reports.) I was looking forward to talking to him, but on Wednesday, my publisher told me that he was going to have to reschedule. “He’s caught up in court,” they said. 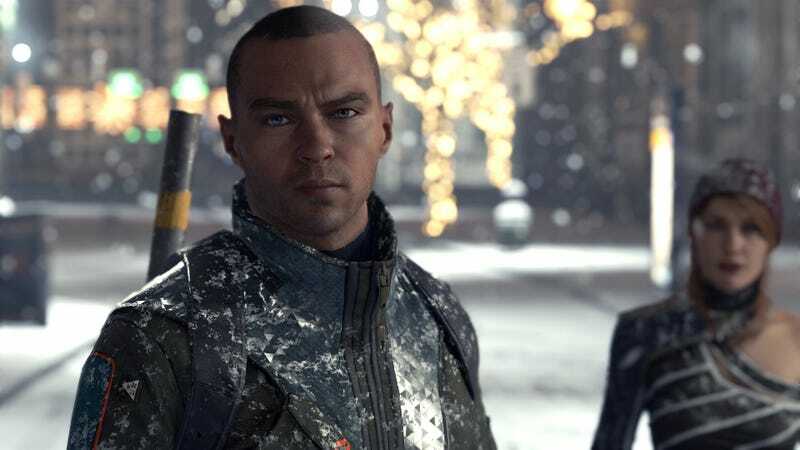 My publisher didn’t know the answer, but Kotaku senior reporter Cecilia D’Anastasio had a preview appointment for Detroit in New York City on Thursday. Cage would be there. When she asked him what happened after the Le Monde article came out, Sony’s PR handler shut questions down, but not before Cage let one piece of information slip. “We’re suing their journalists,” he said. Audureau published his story alongside two other articles, on the French websites Mediapart and Canard PC. Dan Israel, a journalist for Mediapart, told me this past weekend that Quantic Dream was also suing his outlet. He asked not to be quoted, citing the ongoing trial. Canard PC, on the other hand, says it has not been targeted. In an e-mail exchange over the weekend, the site’s publishing director Ivan Gaudé told me they had received two “threatening letters” from Quantic Dream before and after publication. “Nothing came after both letters, and so far we have not been informed of any lawsuit against Canard PC,” he said. Shortly after publication of these articles, Quantic Dream denied the accusations. A month later, the studio put out another statement, calling it a “smear campaign” and promising that legal action was under way. In an e-mail, Canard PC’s Gaudé told me that the sued publications will now have to demonstrate that they handled the story with fairness and “good faith.” They will have to show the judge that they reached out to all parties involved, offered those parties’ perspectives, and used “the appropriate caution” while reporting this story. Correction (10:11am): Due to a miscommunication, this article originally reported that Audureau was in court last week, but he was not. He actually was dealing with legal paperwork. The first court hearing is scheduled for June.